Elon Musk tweeted there’s a car orbiting the earth. Spacex successfully launched the Falcon Heavy, the company’s most powerful rocket with boosters at 3:45 p.m. Eastern Time on Monday from Cape Canaveral, Florida. 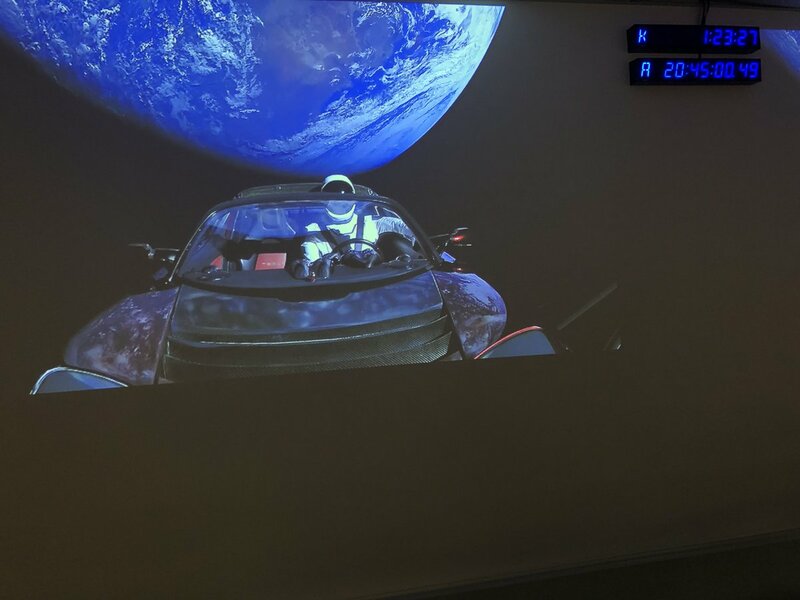 On board was CEO’s Musk’s red-cherry Tesla with “Starman” in the driver’s seat. Today’s launch was unmanned with the goal to reach Mars. 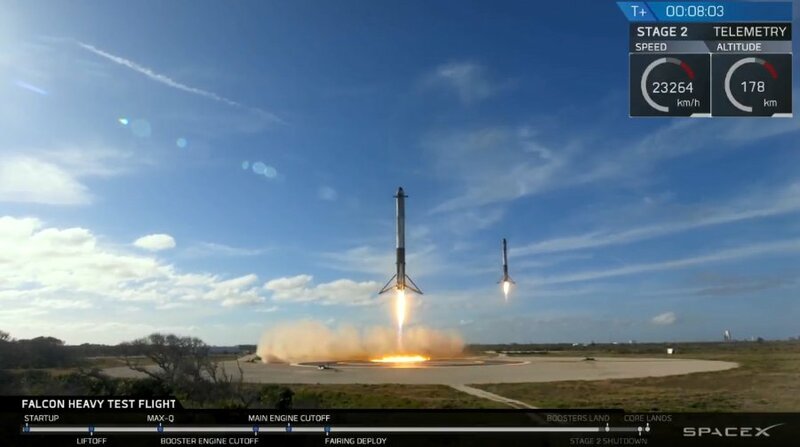 The Orlando Sentinel reports two of the reusable booster rockets returned and landed upright on pads (landing zones 1 & 2) as they were designed to do. This entry was posted in America Remembers, National News and tagged Falcon Heavy Launch, Spacex launch successful. Bookmark the permalink.